Yoga for Cancer: Acupuncture - it's role in my Cancer treatment. I have been using clinical acupuncture professionally since I qualified in 1989/1990.During this time I have acquired extensive experience working daily with a wide variety of health issues including cancer. In recent years I have also qualified as a psychotherapist using one the most up to date methods of counseling and psychotherapy, known as Human Givens Psychotherapy. This means I can also help people with the emotional stress associated with cancer and its treatment. Many people do not understand the function of Acupuncture when treating illness. Because of misinformation and the perception that it is a traditional medicine over 3000 years old with no place in the modern world. The opposite is true, the practice of acupuncture over this time means a vast body of knowledge and experience puts it at the forefront of many health issues. More recently hundreds of randomized control trials (RCT’s) have been performed to test the efficacy of acupuncture in the treatment of various medical conditions (nausea,vomiting,addiction,gynecological,gastrointestinal,neurological,migraine).This research has resulted in a greater awareness of the benefits and applications of acupuncture in treatment. Acupuncture does not cure Cancer, it supports your health while you progress through the medical treatment of cancer. The optimum condition of our health is referred to as homeostasis, this is when our mind and body is in good health and we experience a sense of physical and emotional wellbeing. Acupuncture treatment has two main areas of benefit to offer you while you receive chemotherapy and radiation treatment. When you receive cancer treatment you may experience a range of symptoms due to the illness or the side effects of the drugs being used. This can range from fatigue, nausea, vomiting, pain, depression, loss of appetite, eodema, diarrhea or constipation, headaches, and dizziness. Acupuncture is used to reduce these symptoms. Not everyone will experience the same symptoms and because acupuncture can be structured to adapt to the individual symptoms as they present, it is ideally suited to compliment your chemotherapy. 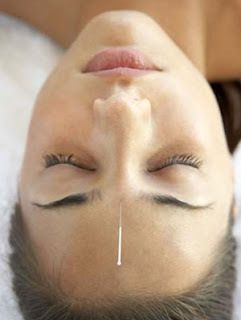 Acupuncture does not use drugs and as such will not interfere with the drugs being used for your treatment. What I mean here by “systemic” is the total effect on the balance of your health mind and body, in other words the homeostasis referred to above. Acupuncture is used traditionally to treat and prevent illness, this being the case it has vast experience in how to promote your complete health and well being. When you combine these benefits it makes sense to use acupuncture to support you on your journey through cancer treatment. As well as myself you can also contact my colleague Mr David Miller for the provision of acupuncture treatment and advice. We are strong supporters of acupuncture. I would suggest absolutely every person being treated for cancer, add acupuncture (regardless of treatment choice). It is a complete system of medicine that can help everyone. There are many documented cases of acupuncture curing serious diseases such as typhoid and tuberculosis. This is documented by the Chinese thousands of years ago. This ancient healing technique may be the cure for more serious illness. Thank you Rodger for taking the time to add your comment. I hope it will be of help to many. i like the yoga. it's help to cure us from disease. i like this post. As there is no proper evidence that shows acupuncture helps in treating cancer but according to some researches it works to relieve some symptoms of cancer. It also works on the side affects of the cancer treatment. Basically it helps to reduce the sickness and vomiting after the chemotherapy which is done for cancer treatment. Acupuncture also helps to reduce tiredness of cancer patients and improves activity. My friends today am now married bless with 2kids, so if you have any sickness such as cancer, hiv,bring your ex back, kindly email (ehiaghespellhome@gmail.com) sir i will forever remain in you debt. Acupuncture Treatment in London and herbal medicine help women and more easily through their pregnancy, but mostly they help the fetus to develop harmoniously through the body and metabolism reinvigorating mother and enhancing its immune functions. Cancer problem is increasing rapidly in our society and the scientists have still not been able to find the cure for that but the process can be slowed down and Chiropractor North Ryde can help to decrease the pain patient feels during the disease. I am sure that we will have patients soon who need relief and pain free body to continue their daily routine.